This year an important birthday came up for me - turning 30 feels like a big step in life and has made me reflect how time goes on. During my twenties I used to feel very very young, but now I am aware that I am entirely adult and responsible for my life. I have thought about the fact of aging, which for an athlete is maybe even more shocking than for "normal" people. I have started to search for the first white hair in the mirrow, thinking that from this point on, there might appear visible signs of getting older and this thought was quite frightning to me, as I must admit, I have been physically feeling like a teenager until now. 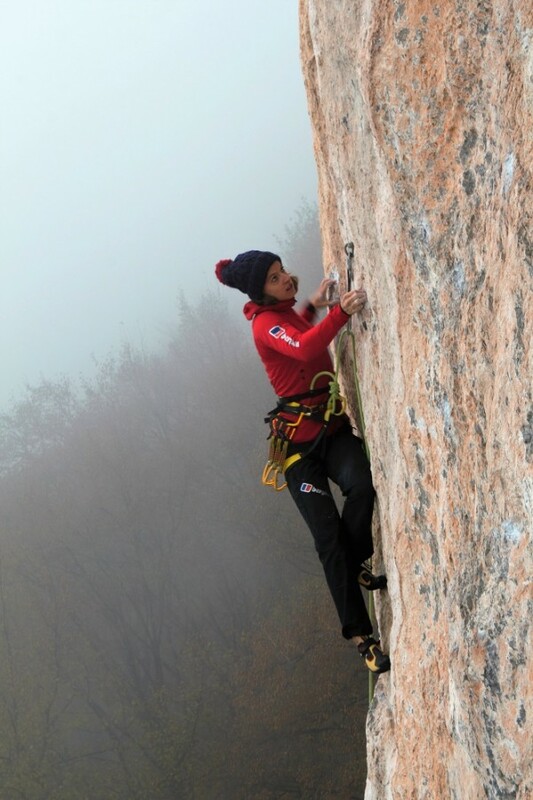 But I know that climbing is a sport where growing experience and endurance play an important role and so I look confident towards more years out there, towards more great climbs, unforgettable adventures and moments shared with loved people in the mountains. 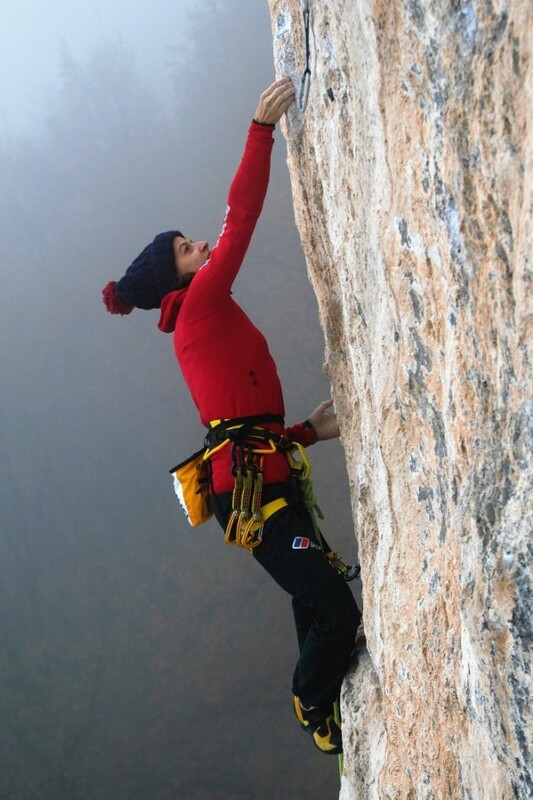 Searching for a sportsclimbing project this Spring, I thought about the route "Apache" in Cornalba, graded "only" 8a but a solid piece of sportsclimbing history. 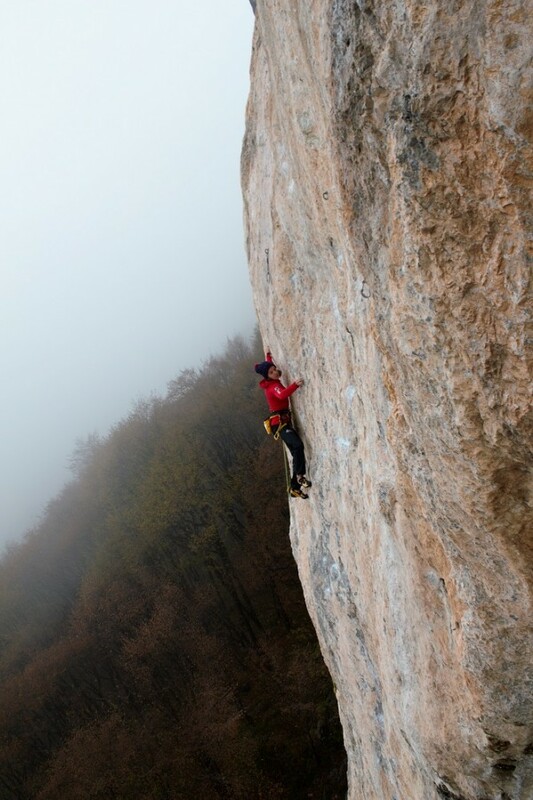 Cornalba is a historical crag near Bergamo in Northern Italy. 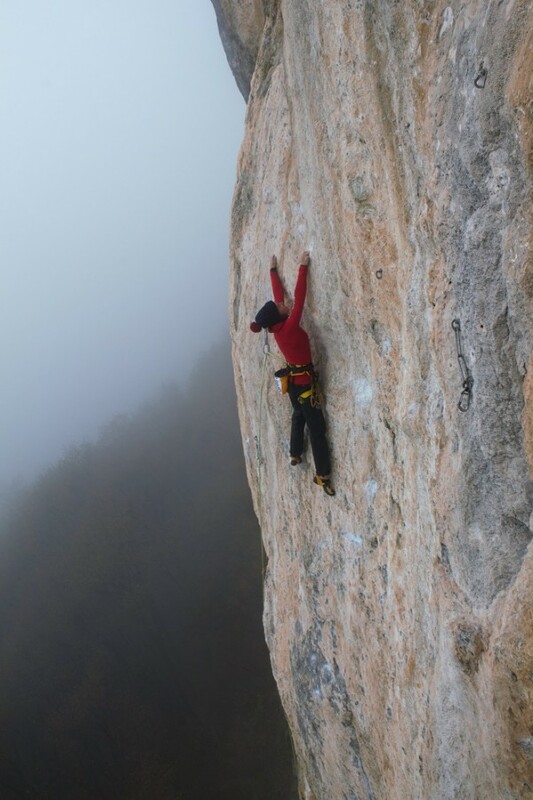 During the 80ies, some of the hardest routes of the country have been bolted and climbed here by Bruno Tassi, known as "Camos". 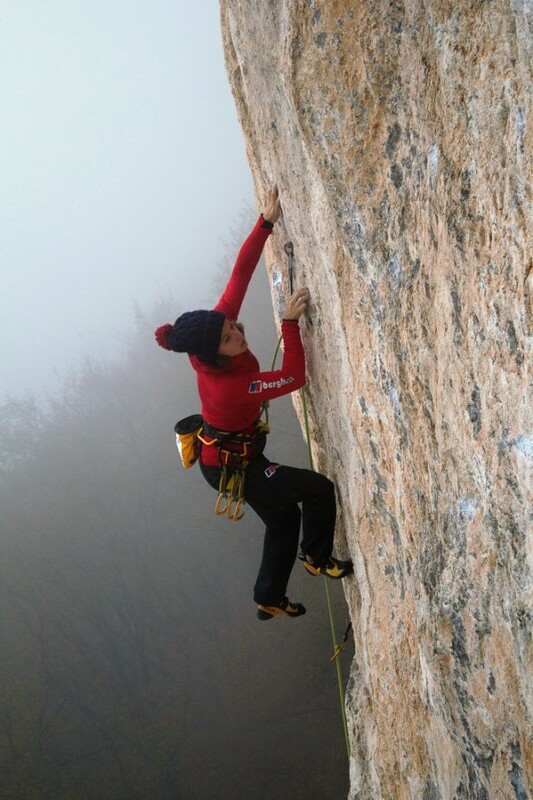 The climbing style in this crag is very tecnical, in Italy we call it a bit "old style", with small crimps and nearly not existing footholds. I started to try the route, to figure out all moves and to try to remember the complex sequence of footholds. But there was one problem: the sun. The main wall of Cornalba is facing south and in the Spring sun that became warmer and warmer every week, it was just impossible to take this tiny holds. So I started to go to the crag early in the morning, to warm up quickly and to give the route a try before the sun comes around the corner, but every time the sun got me on the crux section and made me slip. After a couple of bad tries and after getting completely wet during two thunderstorms in late June I decided that this project needed definitely cold temperatures. I came back the first of November and the feeling was good but the Autumn sun was stil a little too warm. 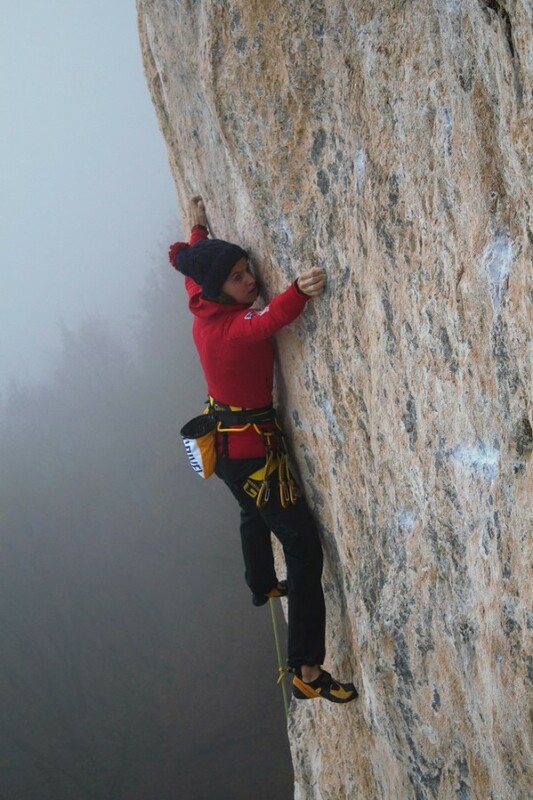 Two days later I thought that this might be the day; with a weather forcast of maximum 10°C and clouds I was very confident and indeed I was able to climb the whole crux section, only to slip at the third last hold because of my cold fingers. Was it too cold now?? But I did not want to give up, I tried to keep my fingers warm and in the last and only sunlight of the day, that reached the rock I gave it another try and clipped the ancor. Apache has been bolted in 1986, the year of my birth and has been freeclimbed first by Camos in 1987. I consider myself lucky to have meet this special person, that left us too early in a car accident a few years ago. And I like to think that he would have given me a pat on the back, for what is the first female ascent of his route, after nearly 30 years.